Philipp Oettl led the way as the 2018 British Grand Prix got underway in cold but clear conditions at Silverstone. The Sudmetal Schedl GP Racing rider was over half a second quicker than Estrella Galicia 0,0’s Aron Canet with a time of 2’15.489, a lone Honda amid four KTMs in top five. Series leader Marco Bezzecchi was third quickest ahead of Jakub Kornfeil and Marcos Ramirez. 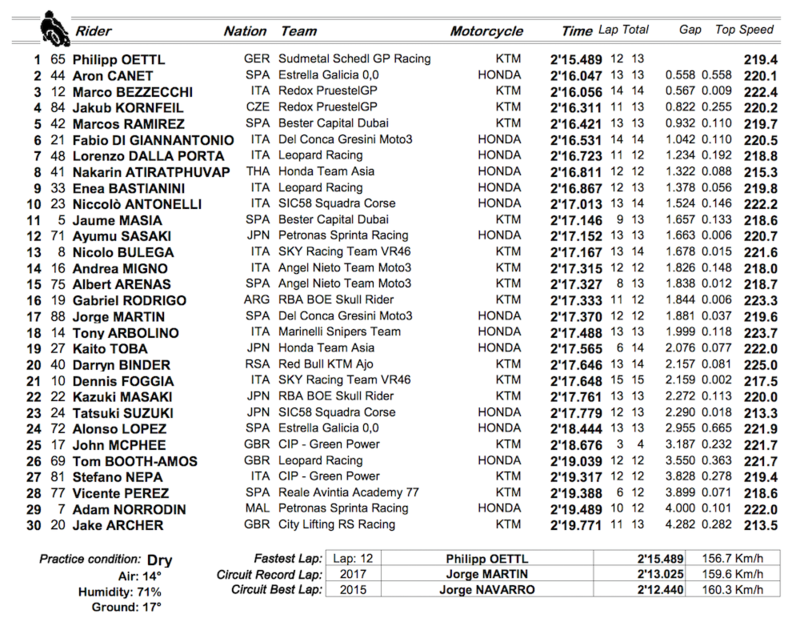 Fabio di Giannantonio was sixth quickest ahead of Lorenzo Dalla Porta and Nakarin Atiratphuvapat. 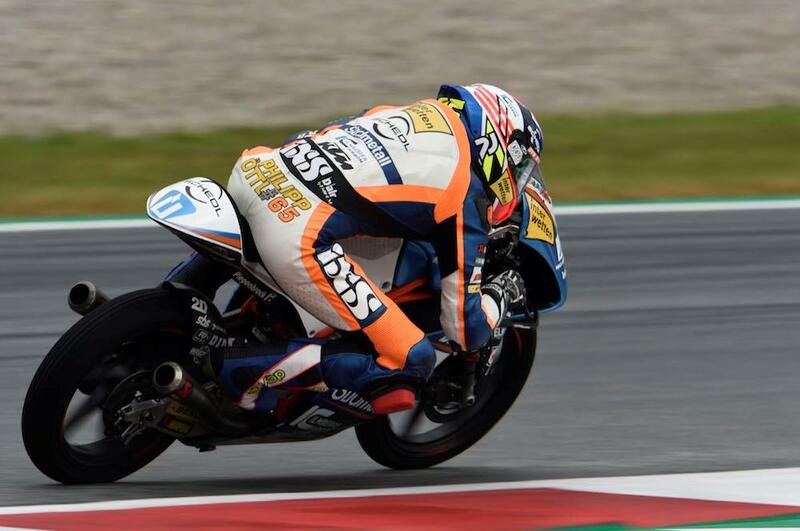 Leopard Racing’s Enea Bastianini was ninth with Niccolo Antonelli completing the top ten. Still struggling with the left wrist he broke in practice at Brno, Del Conca Gresini Honda’s Jorge Martin languished in 17th in the opening session. Britain’s John McPhee was an early crasher at turn four. Limping away, the Scot was taken to the medical centre but later declared fit. Wildcard Tom Booth-Amos was another crasher, slipping off the third Leopard Racing machine at Brooklands towards the end of the session while placed 26th quickest, 3.5 seconds off the quickest time. You can follow all the latest from the British GP on our social channels, @MCNSport on Twitter, and Motorcycle News onFacebook and Instagram.